One of my personal priorities is getting dinner done. It is a great time for communication, cooperation and role modeling for our families. It all starts with setting a time for your family to gather and getting dinner on the table. There are several short cuts that can help. Having a plan is the biggest part of getting dinner done. The success factor for dinner means you have a plan that works for you. Gather your family together for your family meeting and brainstorm 10 meals everyone will eat. These can be very simple, including dinner for breakfast, sandwiches or simple assembly with pre-cooked ingredients. Moms sometimes like to throw in “surprise night” so that you have the opportunity once a week to be creative. My colleague Susan Heid recently added her own cookbook for sale. With the discount code of CP20, you can purchase it online at her website. Susan includes making your lists and conversation starters too! Online resources for creativity include www.e-mealz.com and www.thescramble.com. All of these boost your meal planning organization in different ways. Choose what works for you to get the plan going! One amazing way to make your family and husband VERY happy is to post the meals of the week! You will receive not only amazing compliments, lots of hugs too! One of the trickiest shopping is for groceries. Everyone’s ideal is different, but most agree that have a way to capture the list, and getting to the store regularly, make for the easiest organization. You can google your store and print out the list of groceries by aisle and keep this on a clipboard near the pantry. Having two days that are the “regular” shopping days make sure there is always milk in your home. At 4:30 your kids become aliens who were raised by wolves! Having a plan on when to cook is the last step in dinner planning. You can set aside time on Sunday to double batch, you can start your dinner early in the crock pot before you leave for work, or you can entertain your kids in the kitchen with you while cooking dinner. You can mix it up with partnering, where you and one child cook one night, and your partner and another child do the dishes that night. Delegating and cooperating are fun parts to cooking dinner and everyone can have a job. All of these are great ways to have preparation time. Know what works for you and set up your time accordingly. For me, even without kids at my feet, I love to cook on Sundays and adore my crock pot! My husband and I share the clean up responsibilities too. What are your best ways to get dinner done? Organizing your teen might feel a lot like herding cats. Are you really making a difference? Approaching organizing can be overwhelming, distracted and extremely frustrating! But with a few tips, you can make organizing happen. Start by establishing a work plan that appeals to your teen. Set a time that you can both work and require mandatory attendance. To work together, you need their input to know what to keep and what to eliminate. Set a time that your teen can really be on target in making decisions. Work for 2 hour segments as well so you keep on task and get things done. Help your teen establish a boundary for keepsakes. Having attractive boxes for keepsakes and plastic 66 quart tubs for alternative storage make for great options. There will be keepsakes for sure! Having these options gives your teen a boundary for how much to keep, helps them start making decisions, and also allows for safe storage. Attractive boxes can hold paper keepsakes, while storage bins hold models, dolls or other precious items they have outgrown but not out-loved. Add energy to the project with food and music! 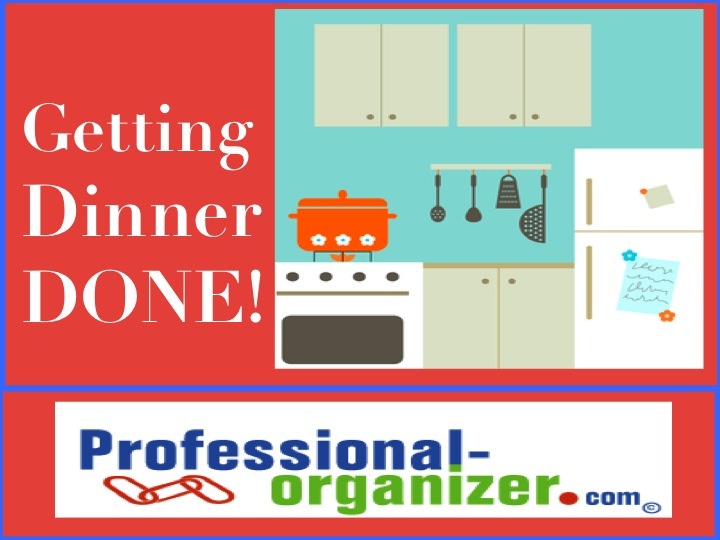 Adding a professional organizer in the mix adds objectivity, focus and project management too! In just two hours, here is what a mom, a teen and I knocked out in two hours over spring break! What is your organizing challenge with your teen? It’s 5 pm and you are headed home from work! Who will be there when you get there? Where did they go if not? What’s going on this weekend for you and your kids? Its time for your family calendar. 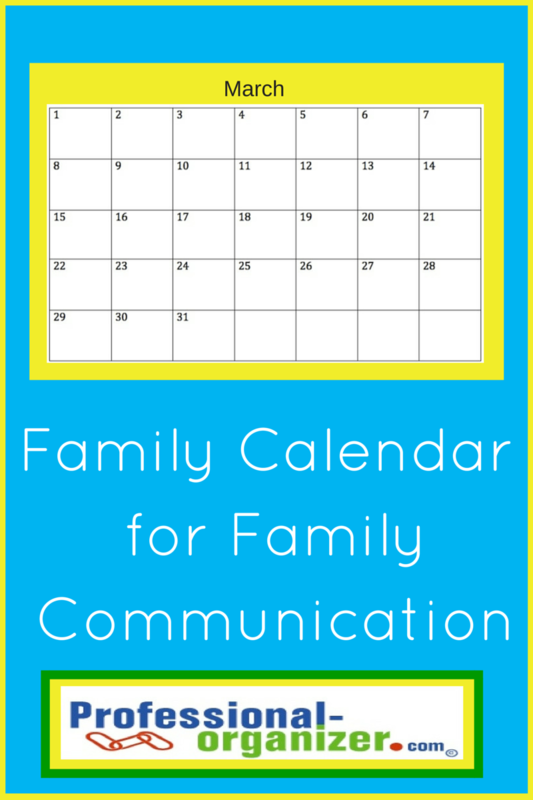 Why use a family calendar? We all know we live in a busy world. Being busy sometimes means we are not able to communicate as consistently or effectively as we need. Here comes the concept behind the family calendar. It is the one spot where everyone’s activities are recorded and the connections created. Having a family calendar posted where everyone can see it means that there is subliminal information being shared! It works best when the family holds a weekly gathering to add information. Don’t be deterred by trying to find a day and time to meet. Set a time on the weekend, when there is a little more flexibility, and just be sure to hold your meeting each week. If you are using a technology calendar, no problem! Simply print out the week or month at a glance and post it. Now you have the best of all, an on the go calendar and one for everyone to see! No matter how much or how little your family does, a calendar gives you a spot to see it all. It’s easy to know goes where and when. Tips for organizing families here! 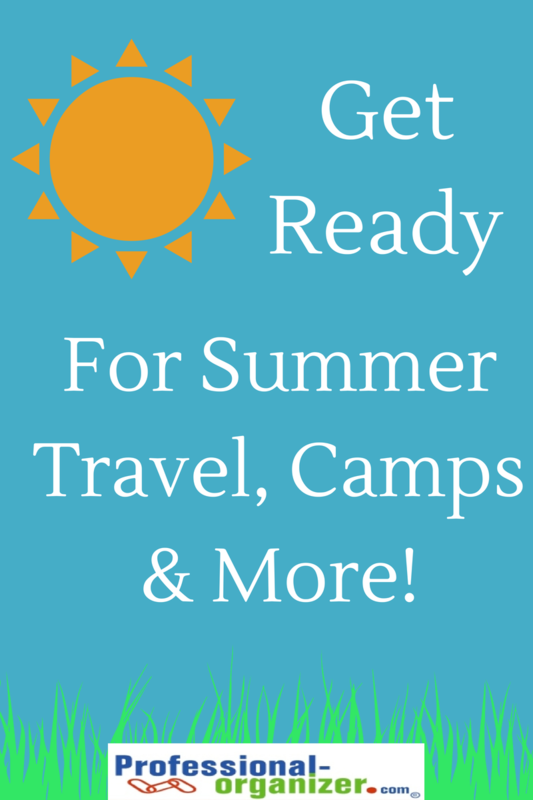 Get ready for summer travel, camps and more! Now is the perfect time to be planning your summer holidays. Many families are choosing a stay-cation for spring break, taking time to catch up, do projects, and get in a little fun locally. Get ready for the summer by choosing camps or other activities for your kids, planning an extended summer vacation or even preparing for local summer fun. Start by corralling all those important summer dates and ideas. When does school end? What events like family reunions or weddings are already planned? When is Vacation Bible School or Swim Team? When does school gear back up with activities like sports or dance? Host a family meeting focusing on summer fun. What do your kids enjoy the most? What new adventures or activities would they like to try? Where would you and your kids like to travel? Is there time for you and your spouse to have your own get-away? Your approach gives you time to investigate some great online resources. Think about alternating busy weeks with low key weeks. You and your family will feel less pressured in preparing and enjoy the vacation more. It gives you time to prepare for each event and travel. Kids need down time too! Making early decisions on your summer plans can save you a bundle. Once you have committed and paid, remember to keep a folder in your command center specifically for summer. Move this into your filing cabinet at the end of the summer to keep a record for future trips. As your summer plans get near, check online for coupons for activities and recreation in your vacation area. There are lots of ways to save with internet resources. What is your summer plan? Need ideas? Check out my Summer Fun pinterest board for great free ideas! https://professional-organizer.com/WordPress/wp-content/uploads/2016/07/logo.png 0 0 Ellen https://professional-organizer.com/WordPress/wp-content/uploads/2016/07/logo.png Ellen2011-03-13 12:40:032014-07-23 20:37:27Get ready for summer travel, camps and more! 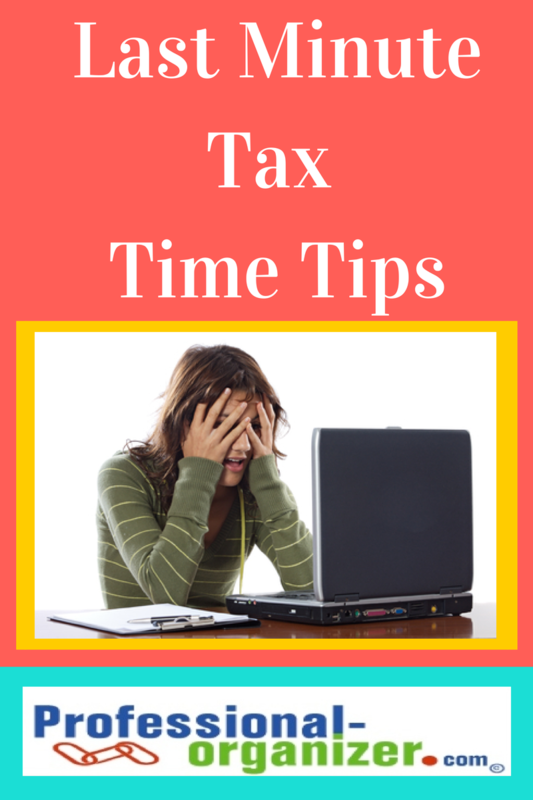 If you are paralyzed about tax time, here are a few ways to get started and unstuck. Items you can get off the internet if you don’t have the papers you need. Use your year end credit card statements. These are already categorized for taxes. Go online to your mortgage company and download your mortgage expenses and property tax for your 1098. Property taxes and mortgage expenses are the biggest deductions in Texas. Use your online pay stubs to find the taxes you paid on your final paycheck for 2010. Visit your online banking and print statements out needed for income and expenses. If you have papers, but are overwhelmed and not sure where to start. Go through your papers and mail to find all the 1099s, 1098s and any other envelope marked important tax document on the outside of the envelope. Spend one hour sorting income and expenses. Spend 30 minutes sorting income into interest and dividends and then stocks for capital gains. Spend another 30 minutes sorting medical into doctors/dentists, labs, eyeglasses, out of pocket and deductibles. Spent another 30 minutes sorting charitable deductions. Spend another 30 minutes using ItsDeductibleonline.com to tabulate your charity non cash donations. Finalize with 30 minutes of wrap up. Group your credit card and other receipts by categories for your small business, such as advertising, meals (with the name of who you worked with and the work you did written on the receipt), office supplies, mileage and educational expenses. The hardest thing about taxes is getting started! Just do it, jump on it, get help with a professional or tax software, and you will be very glad you did!